Home / QuiBidder of the Week – Appy A.
QuiBidder of the Week – Appy A.
Congratulations to the newest QuiBidder of the Week, Appy A.! In addition to submitting a photo, Appy also made a video to show how great her iRobot Roomba vacuum is. Oh, and she won it on QuiBids for $0.10 too. Check out her wins below, and continue reading to learn more about Appy’s experiences using QuiBids. Click here to enter to become the next QuiBidder of the Week and win a $50 gift card of your choice. When did you first sign up with QuiBids? 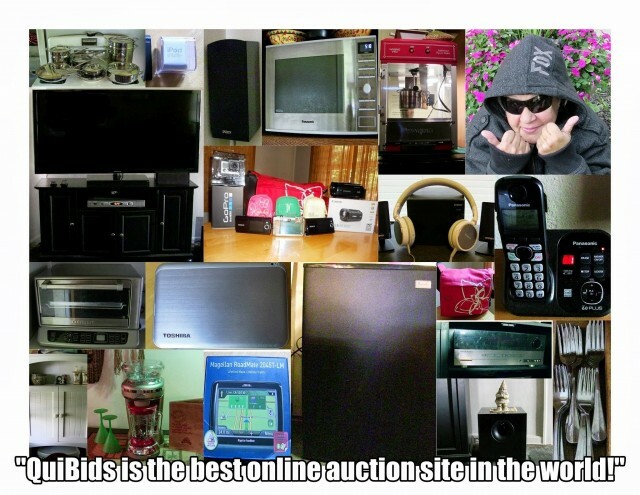 What was the most fun you’ve ever had while bidding?? Have you ever bought something from the QuiBids Store? Anything else you’d like to add.